This 1 oz. 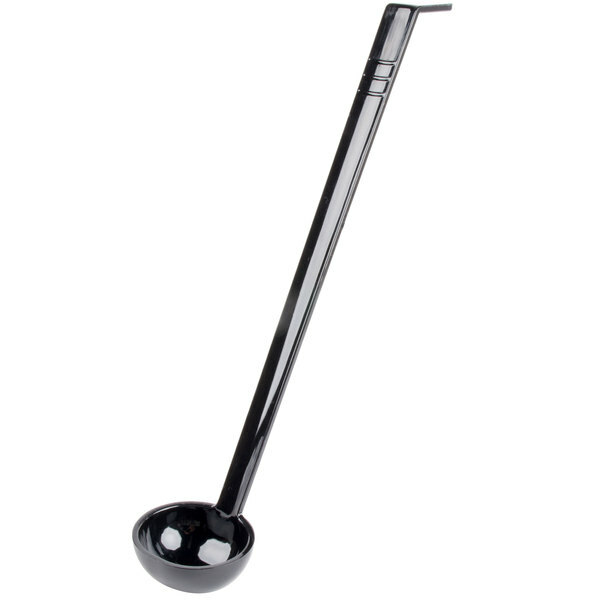 black 13'' ladle is a versatile utensil that's perfect for pouring and serving. One-piece polycarbonate construction adds durability and provides easy cleaning when not in use, while the 1 oz. bowl features a pour spout on both sides. 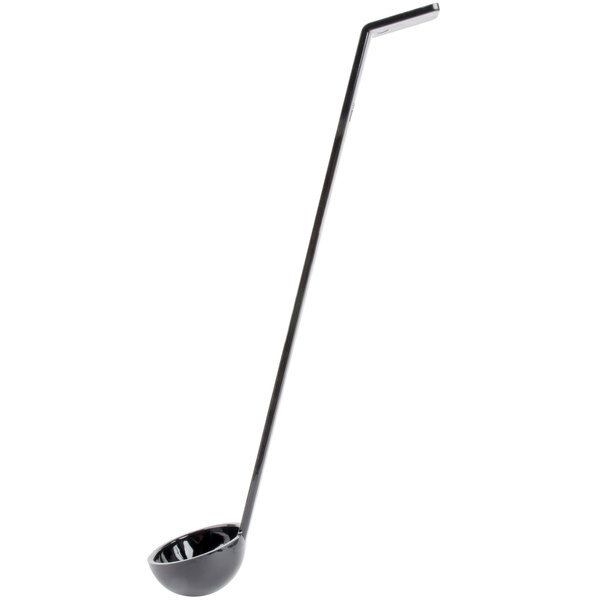 This ladle helps maximize profits by controlling portion size, and features an angled design for easy handling. This item can be used for a variety of different applications, and fits in 2.7 qt. and 4 qt. crocks with ease. We used these for our deep sauce jar. They are super sturdy and we but a couple to switch them our without breaking the bank. They are the perfect size for portion control. We typically like to have black serveware when we are doing a buffet or self-serve station type catering event. This oz serving ladle features a handle that allows it to rest easily on a or large pot. The ladle is made of plastic and can be washed in the dishwasher. The 1 oz. 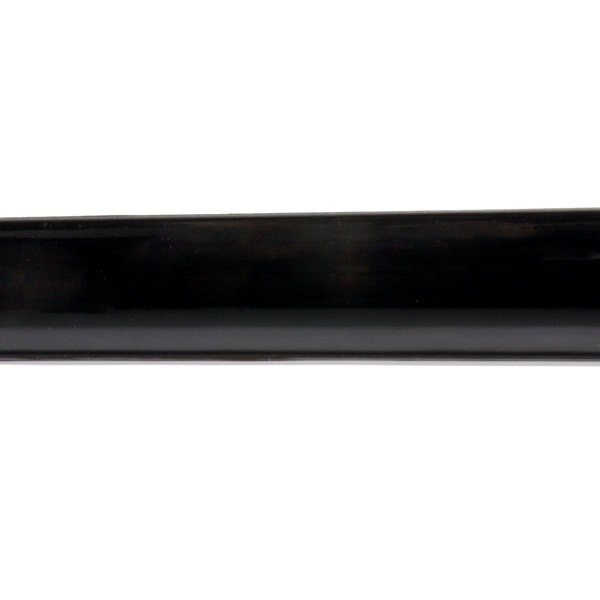 Black Plain Handle Serving Ladle is great for buffets. It is the perfect size for salad dressings and condiments. It is sturdy, durable and well worth the price. 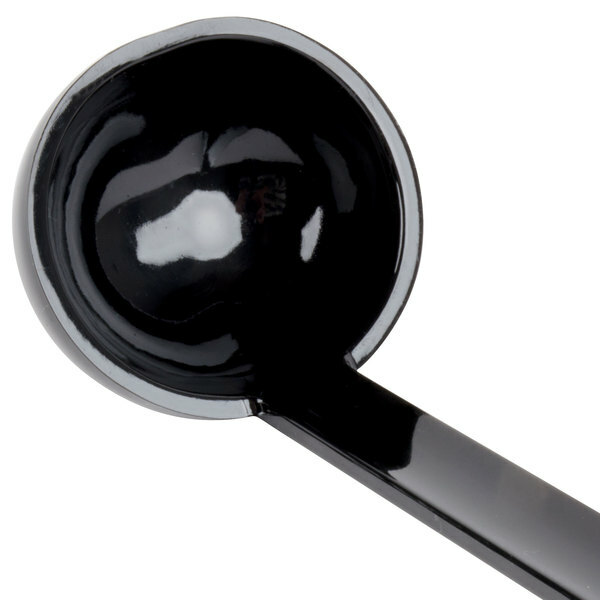 A very well constructed black plain serving ladle that is perfect for dipping out hot fudge for our sundaes. 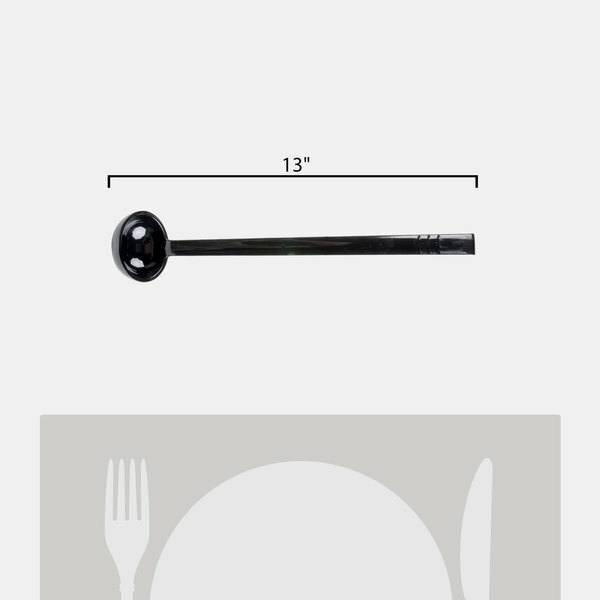 The one ounce ladle is great for portion measuring. 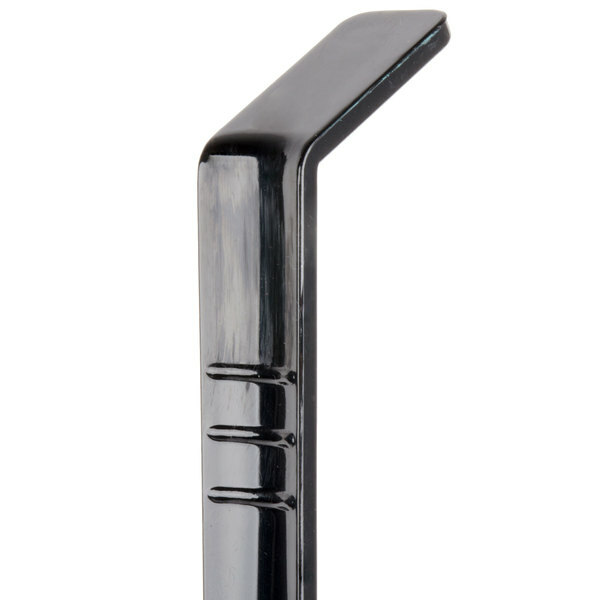 A strong plastic ladle without the price of a stainless steel alternative. The one ounce size is perfect for smaller amounts of food, often for buffet lines. I purchased the 1 oz. 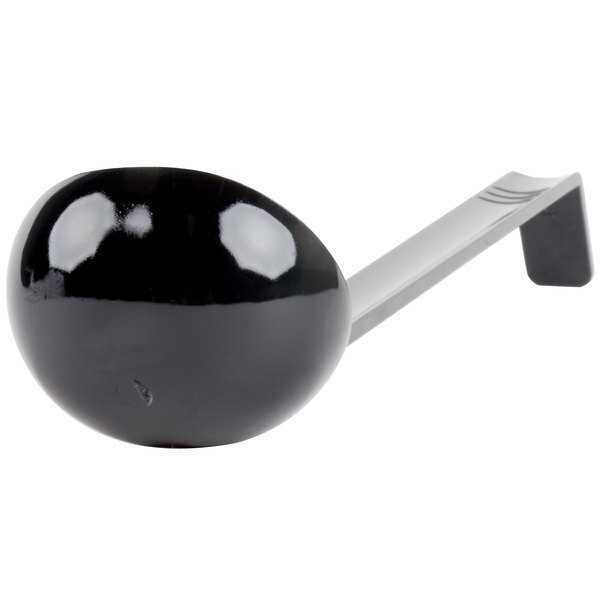 Black Plain Handle Serving Ladle for home use. The quality is very good and the price is just as good. Highly recommend! These ladles were perfect for our church chili cook-off. They were just the right length to reach into a crock pot without making a mess and the scoop was great to serve a small portion of chili for tasting. 1 oz. Black Plain Handle Serving Ladle #271N0296BK if this happens to you no spoon salad jar and dirty hands ? what can i doooo? The 1 oz serving ladle is basic but allows for easy pouring and serving. Makes portioning out servings a breeze. Easy to clean, durable and affordable. I am currently using this ladle to pour salsa on food and it works great. It is strong, sturdy and easy to wash. The price is great too. While these are probably intended to be used as disposables, the 1 oz. 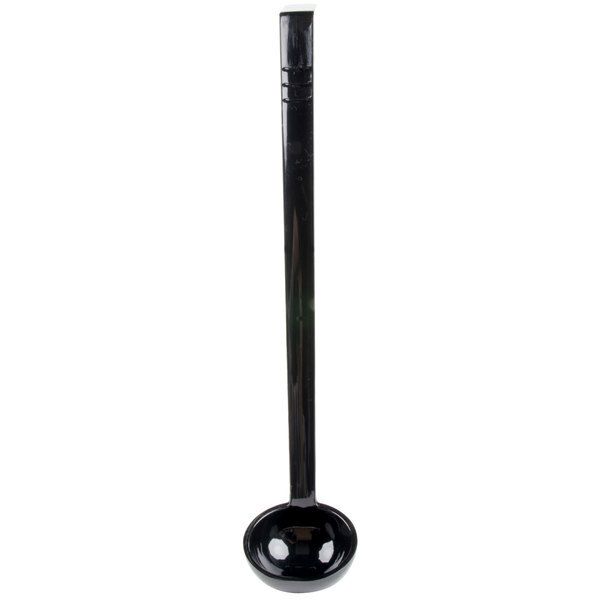 Black Plain Handle Serving Ladle is sturdy and looks nice. I expect it will last through many uses. The 1 oz. Black Plain Handle Serving Ladle works great for getting me 1 oz of flour to make gravy. I keep the laddle in my flour bucket. Glad I purchased. 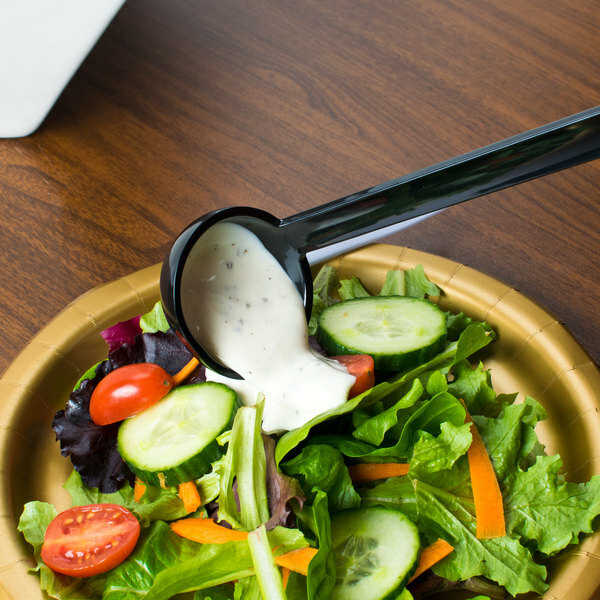 We were having constant trouble with people dropping the ladle into the salad dressing, and this solved the problem, nice long handle, and easy to pour from.